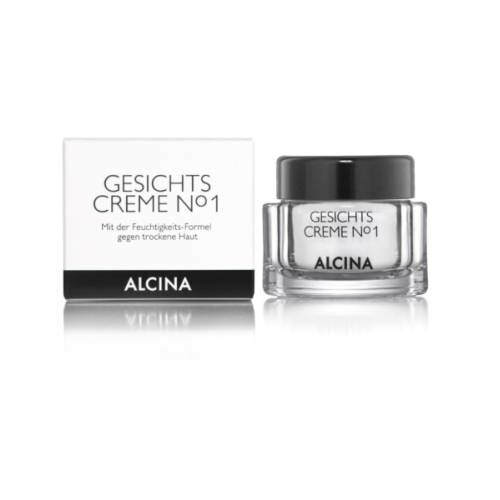 DescriptionWith its innovative formula comprising the active ingredients DEFENSIL® and Q10, Alcina Eye Cream N°1 provides optimal protection for the skin against harmful environmental factors and ensures beautifully bright eyes. This eye cream increases the skin's moisture content and reduces fine lines and small wrinkles around the eyes. 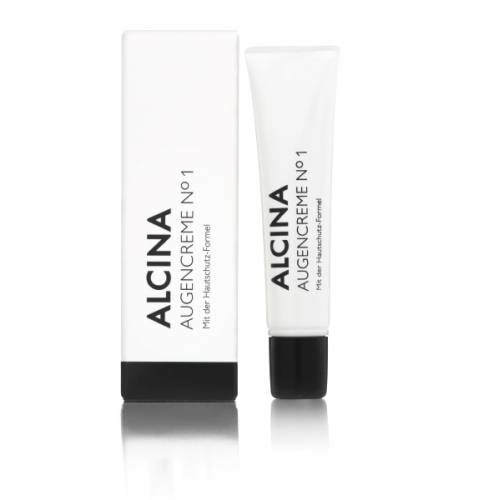 If used regularly, Alcina Eye Cream N°1 helps to prevent the formation of wrinkles and skin aging caused by light. DescriptionProtection against UV radiation: invisible UV rays penetrate deep into unprotected skin and can cause skin irritations and irreparable damage in the long term. 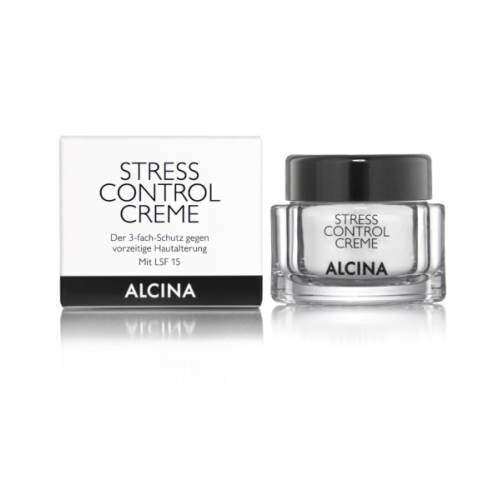 Alcina Stress Control Cream offers broad-band protection with sun protection factor 15; it protects against harmful UV radiation and suppresses the formation of "free radicals". The cream's broad-band protection is impressive: UVB protection prevents acute irritation, particularly sunburn, while UVA protection helps the skin to fight the signs of aging due to the sun/UV light. DescriptionAlcina Facial Cream Nº1 is a moisturising cream which provides intensive care to dry facial skin, relieves any uncomfortable sense of tautness and restores the skin's elasticity and fresh look. Thanks to the carefully combined ingredients in Facial Cream N°1, including urea and the essential amino acid arginine, the skin is nourished and provided with long-lasting moisture. For beautiful-looking, pampered and relaxed skin – 24 hours a day. DescriptionThe premium cleansing foam of the Alcina Cleansing Mousse Nº1 stands for ultimate indulgence and with its mild tenside system and moisturising complexes it ensures deep-down, thorough facial cleansing which is nevertheless gentle. The foamy, creamy cleansing mousse also nourishes your facial skin as part of your daily cleansing ritual. DescriptionThe skin on our hands also needs protection and intensive care. Harmful environmental factors such as UV radiation can result in pigmented spots as well as dry and stressed skin. 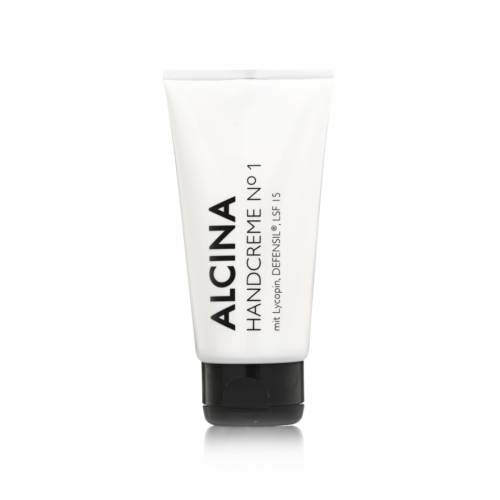 The Alcina Hand Cream N°1 nourishes and smoothes damaged skin thanks to its special formulation and leaves hands feeling velvety soft after just the first use. With its protective and nourishing properties, this cream is also ideal for nail care. It is quickly absorbed and leaves your skin feeling wonderfully soft.